Spring and summer are a very exciting time of the year. Nicer weather, longer days, and more outdoor activities are just a few of the joys of these seasons. 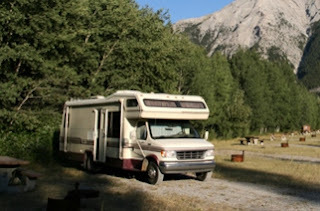 Many people are also planning one or more trips in their RV. Whether they are headed to a beach campground, or a longer road trip, planning can make the experience much more fun and worry free. There is nothing worse than driving 500 miles and then realizing you forgot your favorite coffee. Plan your route. Although winging it can be fun…tolls, winding roads, and tight spots are not so fun. Check road and weather conditions. Road closures can really make for a long day. Book your spot early. Spots fill up quickly, and you don’t want to miss your favorite location. Look for clubs and discounts. Many RV clubs offer discounts and special offers on sites and amenities. Remember, planning can be very helpful in making your next RV trip a success, but the main goal is to have fun, so don’t let the planning stage be a burden. Keep it simple, and make sure you have considered all the factors that are important to you, and your travel family mates. Before leaving, consider stopping by the Olympia Auto Mall and talk to the knowledgeable staff at Awesome RV. They have miles of experience, and can offer more advice, as well as showing you all the new models and innovations in the RV world. Safe and happy travels this spring and summer!